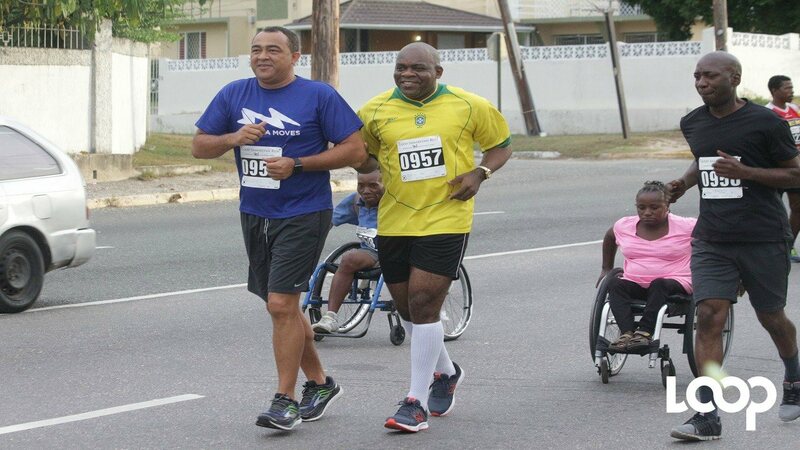 Nigel Holness, Managing Director, CIBC FirstCaribbean International Bank indicates he has completed the mandatory 10 laps of the bank’s “Walk For The Cure” at Emancipation Park, Kingston on Sunday. 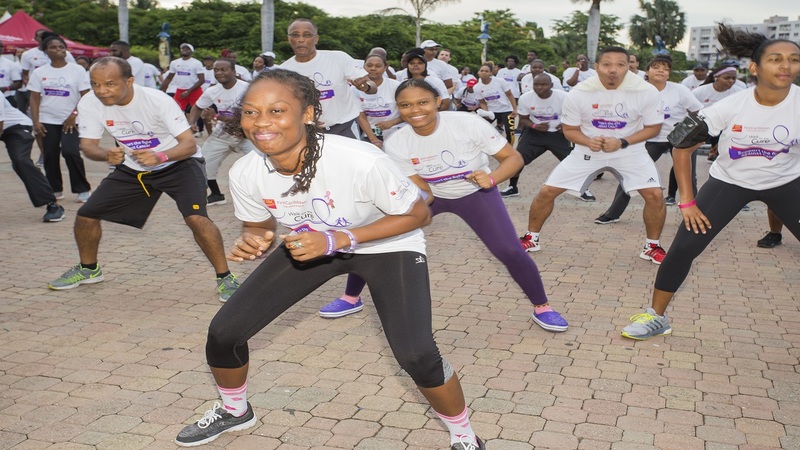 A host of teams from corporate Jamaica joined employees, friends and customers of CIBC FirstCaribbean International Bank at the sixth annual “Walk For the Cure” at Emancipation Park, Kingston on Sunday. 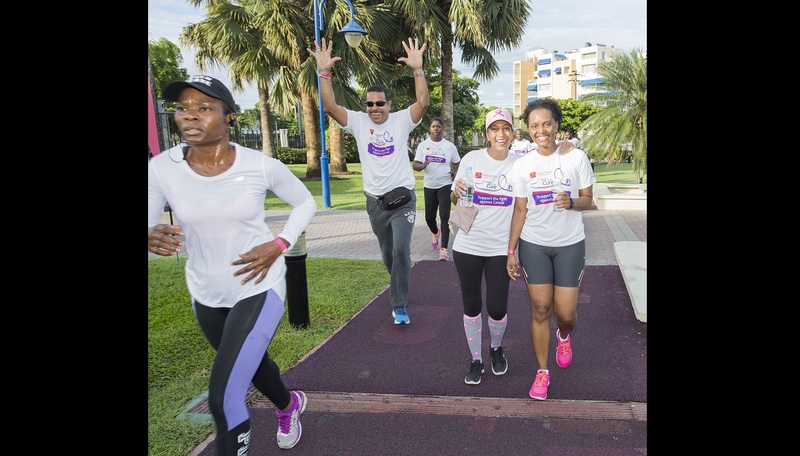 Since 2012, the bank has hosted “Walk for the Cure” in the 17 Caribbean countries in which it is located, with funds raised benefitting cancer organizations in each. Walk For the Cure coincides with “Run For The Cure” in Canada which is hosted by the Canadian Breast Cancer Foundation and sponsored by CIBC. 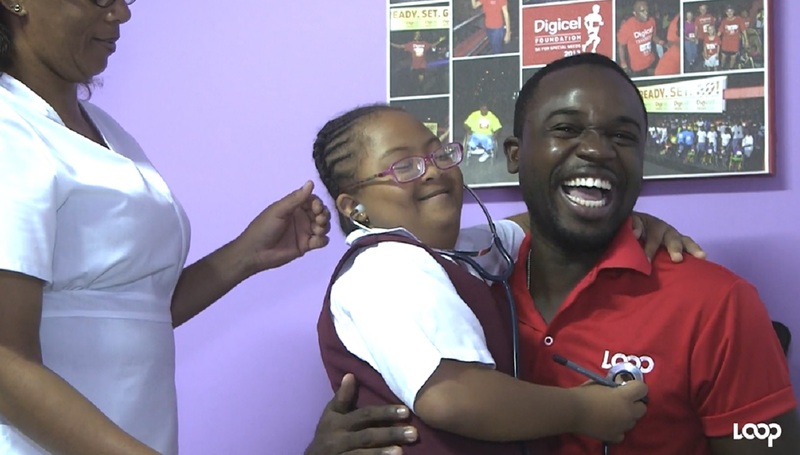 C & W Business, Dunncox, Guardian Group Foundation, Digicel Foundation, Video Access Security Solutions, Rainforest Seafoods, Stewarts Automotive, Couples Resorts, Gore Development Limited, Chad Auto Sales, Loop, Wisynco and Ministry Of Health. 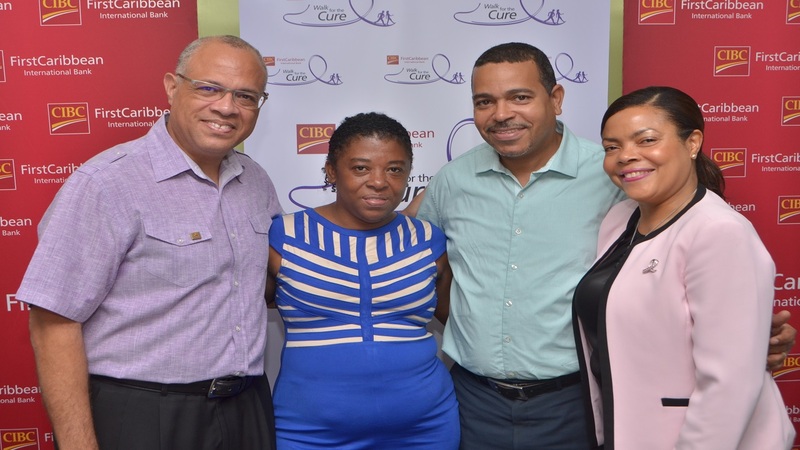 At the end of the 2017 Walk For The Cure at Emancipation Park, sponsors representatives joined bank representatives in the release of 50 balloons representing various cancers, symbolizing their collective effort in the fight against cancer.